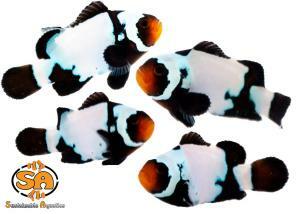 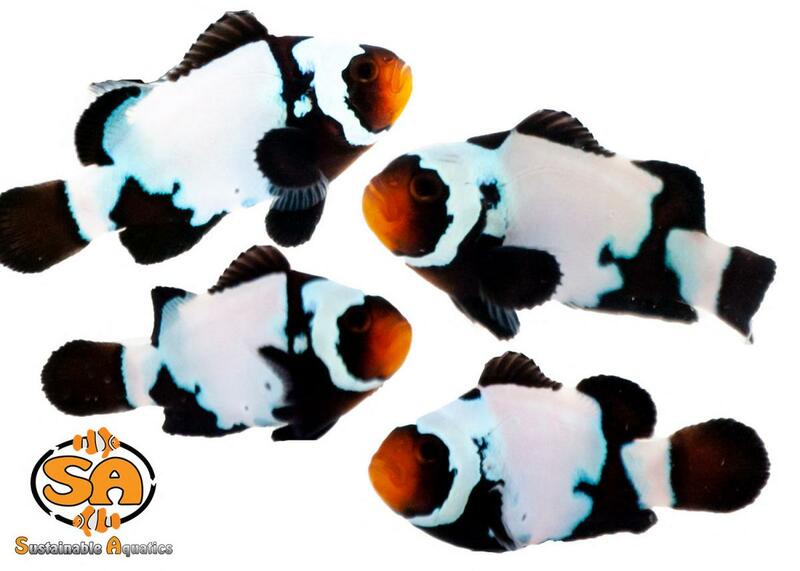 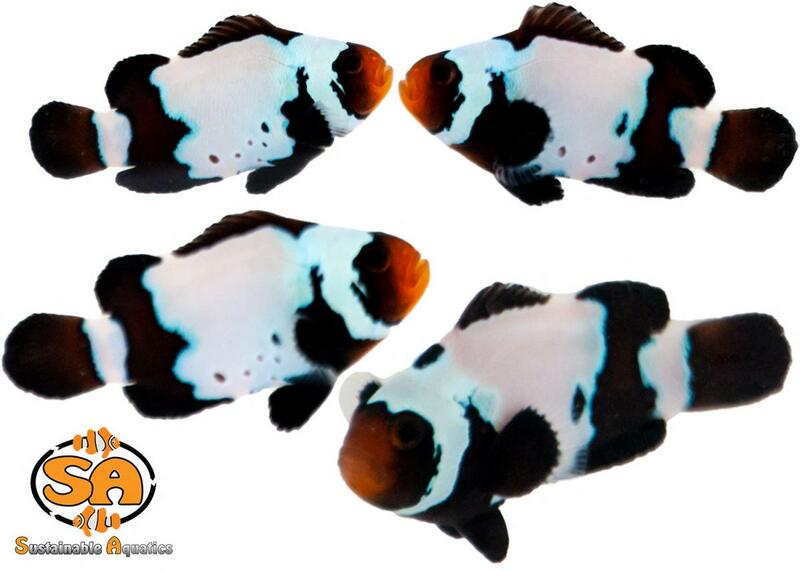 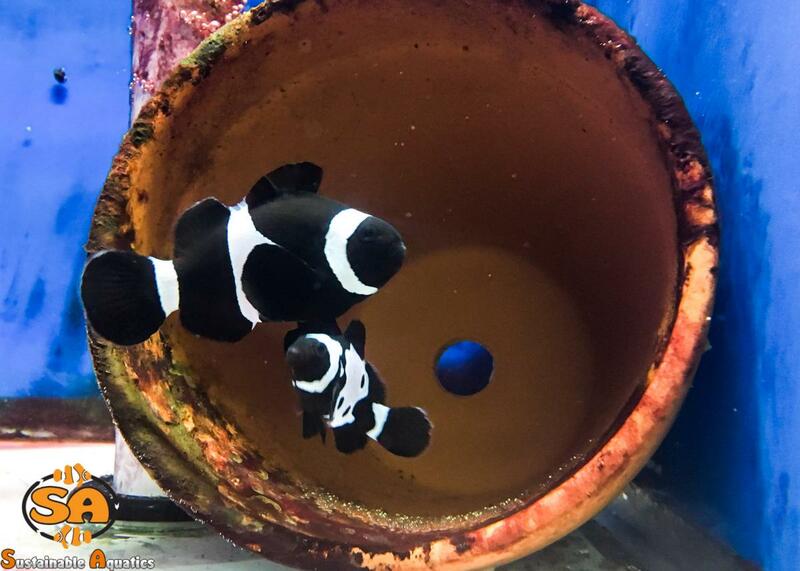 The black snowflake is another variety of A. ocellaris with a color similar to the Black clownfish but instead, the white barring comes in an array of snowflake patterns. 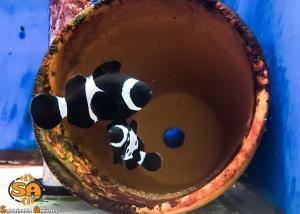 Like the Orange and Fancy Snowflake variety, the Black Snowflake pattern is different on every fish. 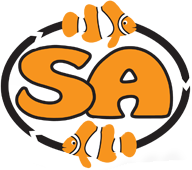 They will be offered in three different styles; standard (one bar snowflake), extreme (2 bars touching), special (all bars touching). The unique patterns help make this variety of clownfish an elegant addition to almost any tank. 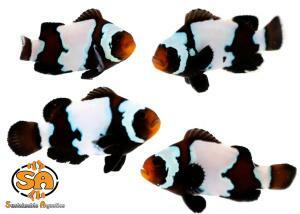 These clownfish should be housed in fish only or reef aquariums 15 gallons or larger; as they can grow up to 3 ½ inches in length. If you are wanting to set up a harem, we recommend 1 fish per 2.5 gallons. 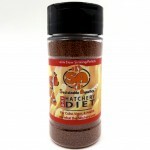 A mixed diet of frozen foods and dry pellets or flakes are recommended to ensure proper health and nutrition. Like all the captive bred fish at Sustainable Aquatics, the Dry Hatchery Diet is highly recommended. 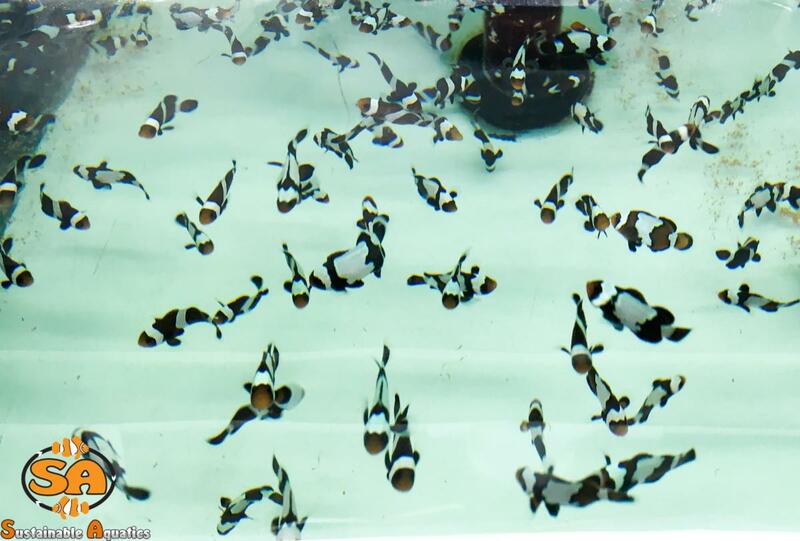 These fish are accustomed to the food and will readily accept it!